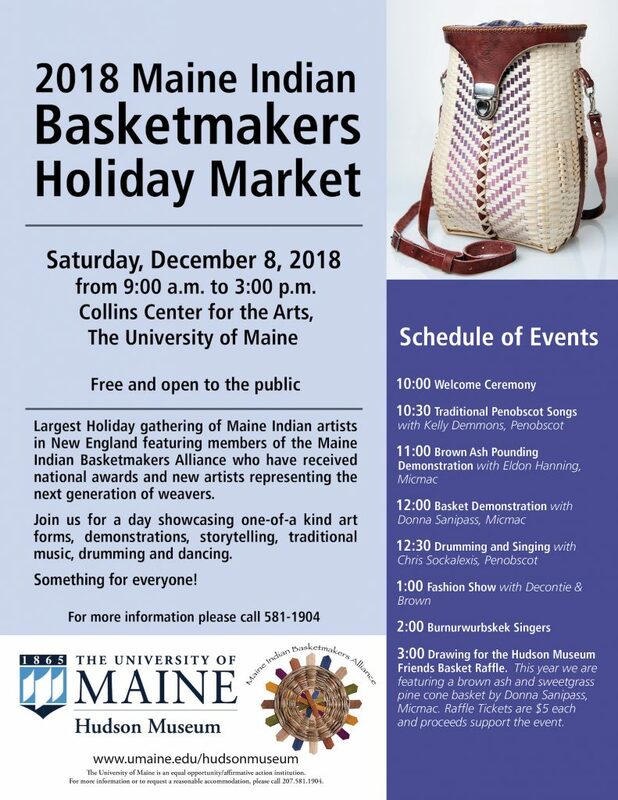 The largest Holiday gathering of Maine Indian artists in New England featuring members of the Maine Indian Basketmakers Alliance who have received national awards and new artists representing the next generation of weavers. Join us for a day showcasing one-of-a kind art forms, demonstrations, storytelling, traditional music, drumming, and dancing with members of the Penobscot, Passamaquoddy, Micmac, and Maliseet nations. Something for everyone!